David Goldfarb, professor of biology, researches yeast as a model organism for understanding the aging process in humans. 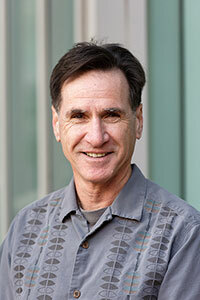 Goldfarb joined the Rochester faculty in 1988, five years after earning his PhD in biochemistry at the University of California, Davis, and completing postdoctoral work at Stanford University. Goldfarb holds four patents and has been recognized with more than a dozen honors, including the Johnson & Johnson “Focused Giving Program” Award, the National Society of Collegiate Scholars Distinguished Member Award, and the March of Dimes Health Leadership Award in Education. 1. Most people think of yeast as an essential ingredient in bread and beer. What makes it a good research specimen? Yeast cells are quite similar to animal cells; more so than they are to bacteria or plants. Of course yeast do not have brains or livers or bones. But the cellular biology of yeast and humans—how they grow and divide, age, and metabolize food—is remarkably similar. Yeast is an excellent “model” organism for studying processes in which yeast and humans share genes that carry out similar functions. 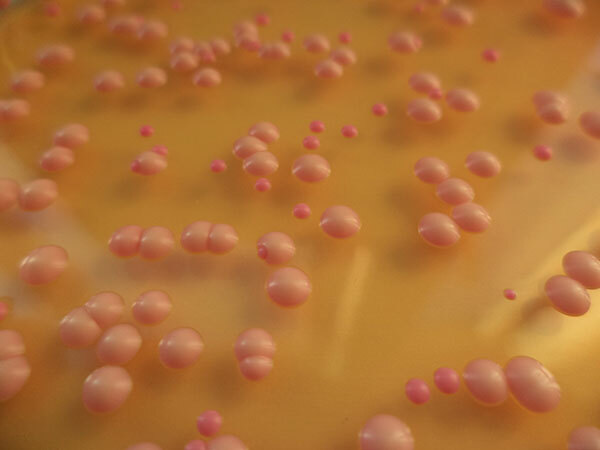 We often get our first view of human cell processes by studying the biology of yeast. Yeast is easy, cheap, and quick to work with because it divides rapidly, usually once every couple of hours, and is “genetically tractable,” meaning we can readily alter genes and their expression using classical genetics or modern molecular genetic techniques. For example, in a single experiment we can easily determine how a single genetic modification affects the expression of all 6,000 yeast genes. Decades of work in hundreds of labs has led to a fantastically broad and deep understanding of yeast biology, much of which instructs our thinking about human biology. There is little argument that the best way to attack human disease starts with an understanding of the underlying cell biology responsible for the pathology. For many diseases, including aspects of cancer, profound insights have come from work in yeast. The utility of yeast extends to biotechnology and the large-scale manufacturing of natural products and drugs. Yeast is not the only available model organism, but for the work we do, yeast is uniquely qualified. 2. Yeast was at the center of one of your patents, titled “Method for altering the lifespan of eukaryotic organisms,” which Reuters determined to be “the most-cited discovery to emerge from academic research in recent years.” What was the patent for? This patent describes results of a large experiment aimed at discovering small drug-like molecules that either speed or slow aging. It may come as a surprise that yeast and humans age in many of the same ways. My research group—and I wish to emphasize the contribution of many—developed a new way to measure lifespan in yeast that allowed us to simultaneously measure the effects on aging of hundreds-of-thousands of drug-like molecules. We identified over 100 compounds that have a positive effect on lifespan. The patent describes how we did the experiment, so others could repeat it, and provided a list of novel lifespan altering compounds for others to mine for their purposes. 3. Why do you think that patent became influential to that degree? Good question. We are not sure why our patent was cited in so many other patents. There may be multiple reasons. The specific claims of these patents that cite ours are diverse. It’s possible that the lifespan-altering molecules we identified represent a useful collection of biologically active compounds. So others may have found that these molecules do interesting and potentially valuable things in their experiments, many of which involve treating or preventing human diseases and disorders. 4. What mysteries are you looking to unravel in the future? We continue to study some of our lifespan-altering molecules. I founded a biotech company to explore medical applications of one set of molecules. This endeavor was exciting and gave me a rare opportunity to experience another type of research and development, for which I am grateful. Some venture capitalists provided years of generous support for our work on the relationship between aging and disease. Ultimately, this commercial endeavor ended because we couldn’t achieve a key milestone (c’est la vie), but we still have a freezer full of molecules with fascinating biological activities. I like the idea of using small molecules as probes to gain a foothold on the study of important biological processes. Instead of using genetics to alter cellular processes, we use small molecules to do the job. I am fascinated by cell biology, so I tend to focus, when possible, on the molecular mechanisms at play. Those are the ones we pursue. My goal is to reveal new biology with a focus on asking how aging leads to disease. At my stage of career, the goal of having a direct impact on the human condition is becoming at least as important as revealing new biology.